How a Standard Motorcycle Crash Helmet is Designed? | iStoryang HaaayTek! I’d just wrote a post in my personal blog–“Are You Wearing the Right Motorcycle Crash Helmet?” in the middle of the government’s campaign for the wearing of the prescribed motorcycle crash helmet. Here @ iStoryang HaaayTek!, i’m going into the technical details of the design for a standard protective helmet for motorcycles. I’ve scanned several pages to get some sources for this article. 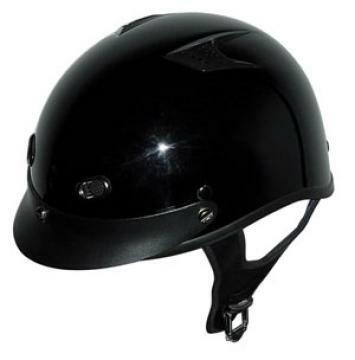 Below are some of the “unprescribed” helmets which are being used by some motorcycle owners and drivers. These include(left to right): baseball gear, an industrial safety helmet, a German Army helmet, and a cycle head gear. The last three models are said approved by transportation authorities in other countries for motorcycling use. The German Army helmet and the skull-cap types(images 4) are generally not acceptable in many countries including the Philippines because the head is still exposed to injury while wearing it. 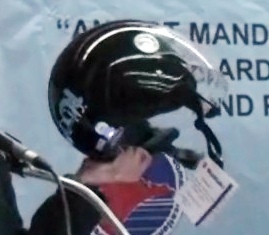 In a recent forum in Dumaguete City, the Bureau of Product Standard presented the prescribed protective motorcycling helmet(left image) which passed the international standards. 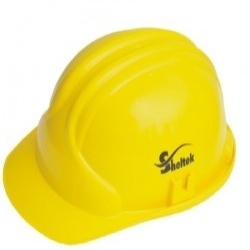 At right, another standard helmet. 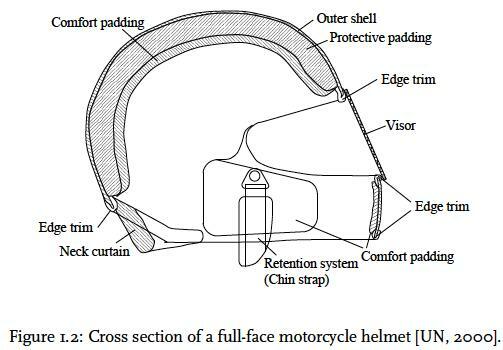 The illustration below identifies the different parts of a standard motorcycle protective helmet. 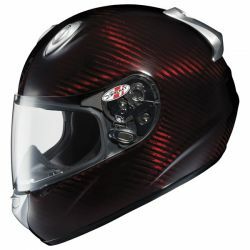 This modern motorcycle helmet has four main parts: the comfort padding liner, the protective padding liner, the outer shell, and the retention system. 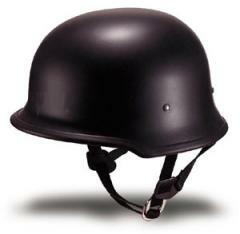 The retention system is used to keep the helmet in position prior to or during an impact. 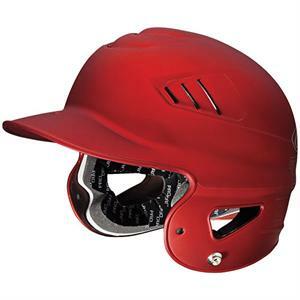 The comfort padding liner is to increase the wearing comfort of the helmet and to provide a good fit on the head.It is made of a flexible polyurethane or PVC material. 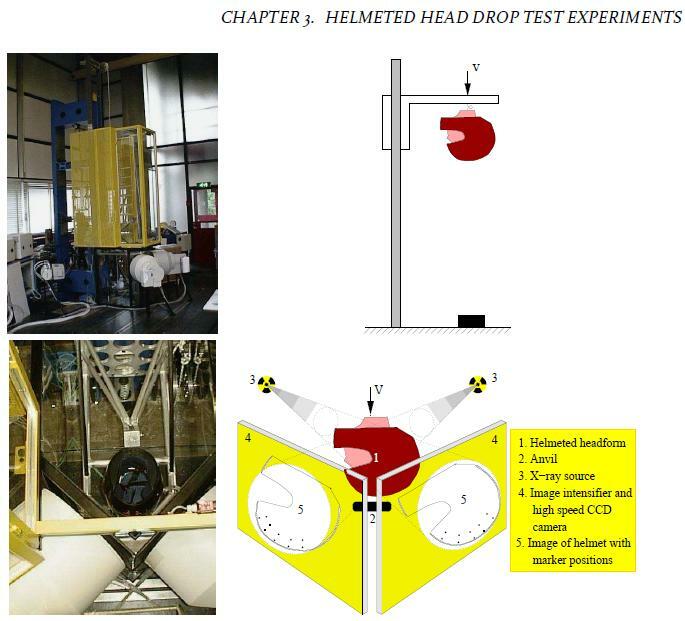 In designing the prescribed helmet, the model is put into several simulated drop test to measure the impact during accidents. Different studies investigate and search for means to improve helmet effectiveness using the current standards and for finding ways to improve these standards. Experts at the Snell Memorial Foundation identifies four areas affecting the helmet’s performance. Studies indicate various head injuries to include: Skull Acceleration–may be related to haematoma and skull fructure; Brain skull differential acceleration–an injury parameter to indicate subdural haematoma or focal cerebral contusion; and Brain Acceleration–an injury parameter to indicate diffuse axonal injury and intra-cerebral contusion or haematoma. Again, based on studies by the Land Transporation Office for every 100 vehicular accidents 60 percent involved motorcycles. When the Mandatory Helmet Law (RA 10054) was crafted, there were 40 people died in motorcycle accidents daily. These are enough reasons why authorities are pushing for the use of the right motorcycle helmet to reduce deaths and injuries to motorcycle drivers.